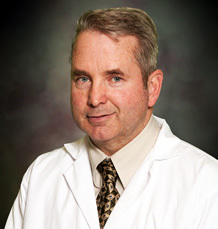 Dr. Daryl M. Lechner earned his undergraduate degree from the Wright State University followed by a doctorate degree from the Ohio State University in March of 1982. Dr. Lechner is licensed by the State of Ohio Dental Board and is a member of the American Dental Association. Dr. Lechner has been in private practice in Delaware since June of 1987. He and his wife of sixteen years with two sons reside here as well in Delaware County. Dr. Lechner is an active member in the St. Joan of Arc Catholic church. Away from the office, Dr. Lechner enjoys snow skiing, gardening, and coaching sports with his sons. Lechner Dental Group’s goal is to offer its patients the highest standards in both regular dental work and cosmetic dentistry. Our staff is both friendly and capable, and will work with you to determine which procedures you need. Then, they will walk you through what to expect from these procedures in our high-tech, modern office. We strive to offer our patients on-time appointments, as well as prompt, pain-free services whenever they visit. New patients young and old are always welcome – so if you are looking for a top Delaware dentist, look no further than the Lechner Dental Group. You can book your appointment today online, or call 740-363-8240.